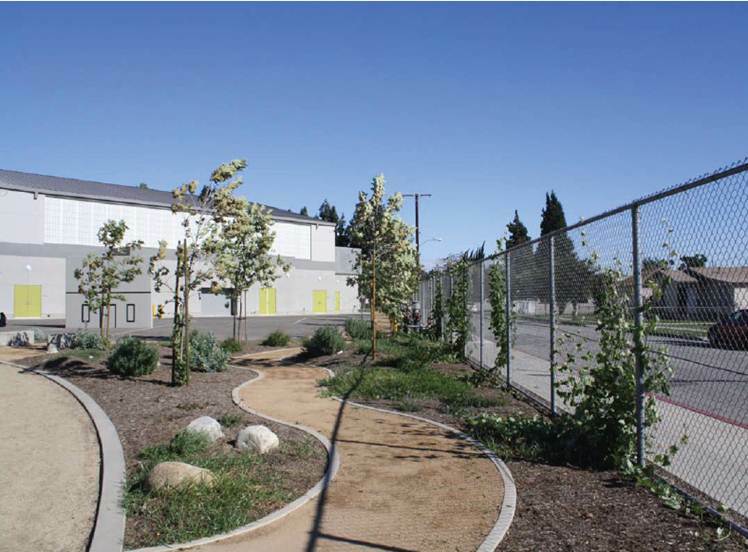 For the Columbia School Green way project Amigos de los Rios worked with the El Monte City School District to create a joint use school and community park. 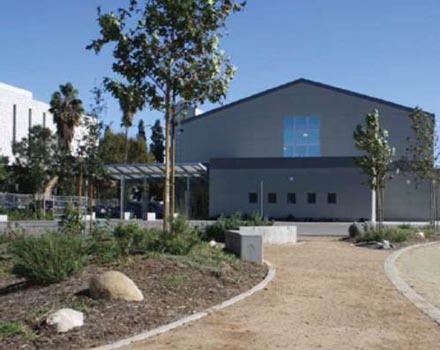 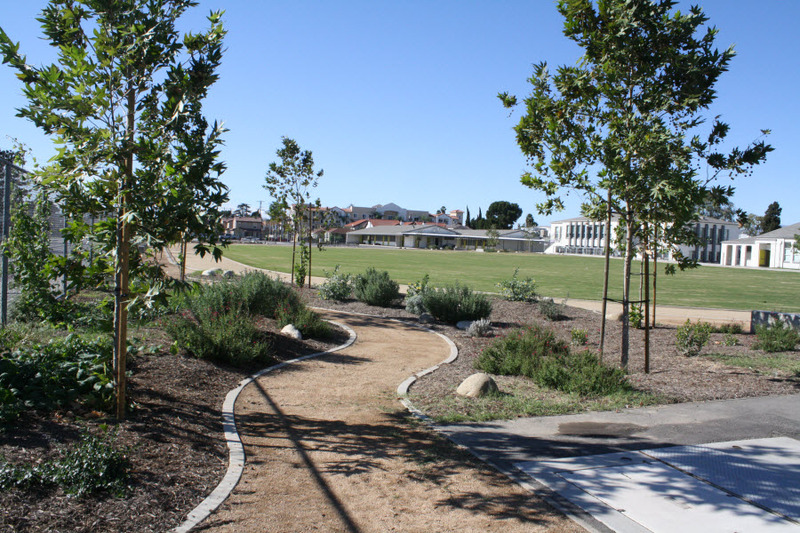 The City of El Monte’s Columbia Elementary School campus features native plants and trees interlaced with a exercise trail, running track and sports field. Amigos engaged local residents, teachers and students from the schools to design an exercise trail combining educational native habitat areas. 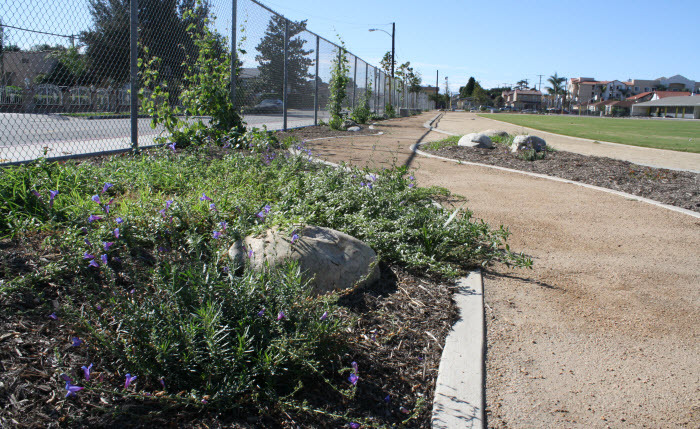 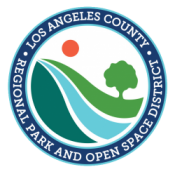 Project Team: Emerald Necklace Group | Amigos de los Rios with VCC Engineering, Multiple Youth Corps: California Conservation Corp, San Gabriel Conservation Corp, and Los Angeles Conservation Corp helped implement the greening project.